Active for Good | Helping people get active and healthy while serving a great cause. Active For Good provides solutions that connect getting active with helping severely malnourished kids. Our mission is to inspire people to get active while helping provide life-saving treatments to severely malnourished children in the developing world. Learn more about our Self-serve and Full-serve challenge options. Participants commit to getting active during the 30-day challenge and tracking activity. Our free app makes it easy to join. The challenge sponsor will monetize the active calories you burn in the form of life-saving packets for malnourished kids. You’re basically a sponsored athlete-for-good now. 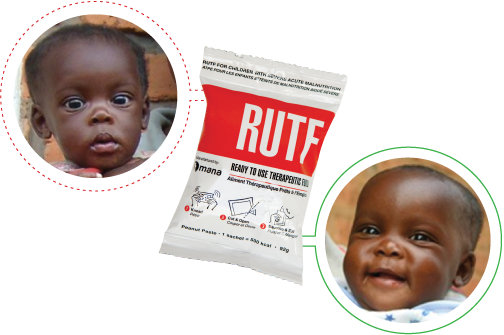 Calories are donated to severely malnourished kids in the form of therapeutic food packets. The more packets you donate, the more lives you can save. Helping severely malnourished children survive and thrive. Joining a challenge is easy! 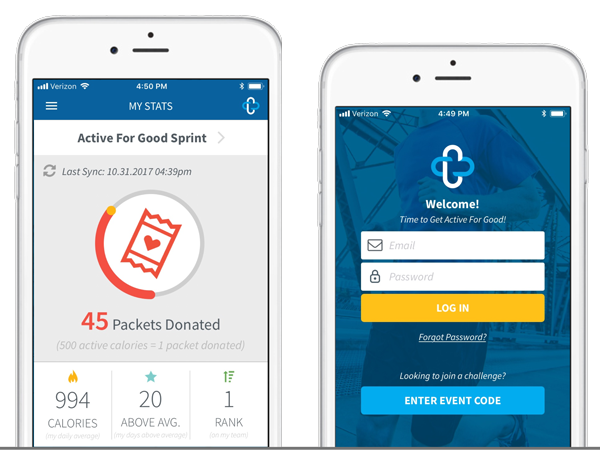 You simply download the free Active For Good app (Android or Apple iOS), enter the Event Code the challenge organizer gave you and follow the prompts on the screen. During the signup process, you’ll be able to pick a screen name and password, select a team and choose your tracker. Don’t own a tracker? No problema! Our app can pull activity data from the built-in Apple Health or Google Fit systems that come with your phone. You can also connect a Garmin or Fitbit. Don’t have an event code or challenge to join? Click here to learn more about how you can sponsor a challenge. With your help we can unlock more packets for kids who need them most.